It's hard to believe this luxurious chocolate sauce contain only two ingredients and a perfect topping on cake. 1) Pour the cream into a pan and bring to almost but not quite boiling point. 2) Remove the pan from heat and add choc chip. 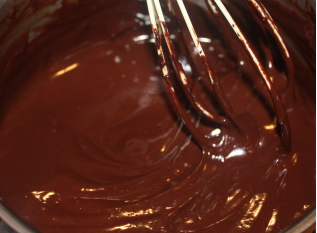 3) Whisk till smooth and glossy.